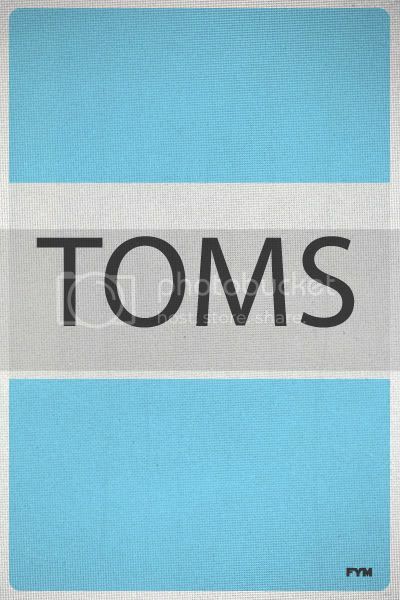 Hundreds of thousands of safe/dry-protected feet later, TOMS continues to grow month by month, stepping up their contribution as their company skyrockets. A portion of the company's success comes from major distribution by way of high-end fashion retailer Nordstrom (hometown style heroes in Seattle). In FYM's experience, Nordstrom seems to carry the largest variety of TOMS classics as well as limited-run hip design staples. 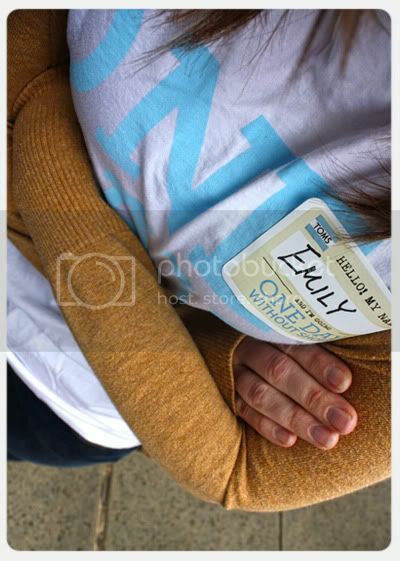 Yesterday, the Downtown Seattle Nordstrom Flagship Store participated in the TOMS SHOES 'One Day Without Shoes' event. During high traffic time- the noon hour, Nordstrom employees, friends, family, activists, took off their shoes and began to walk barefoot making their way up to the fourth floor of the downtown Seattle Flagship store. The march was then led over a skybridge into the Pacific Place Mall where passionate barefooted crusaders followed the escalators down to the city streets. TOMS SHOES with support from companies like Nordstrom have/will continue making an impact across the world, providing a bare essential to children who desperately need (footwear) something most people take for granted on a daily basis. When you buy a pair of TOMS SHOES it's really a win-win, A: You the consumer now own an easy-care, stylish pair of modern design, B: You the consumer are no longer consuming, but giving back- putting a pair of shoes on a child who really needs them- One for One. Cheers to everyone who came out to make this event so special, at the Nordstrom Flagship Store! 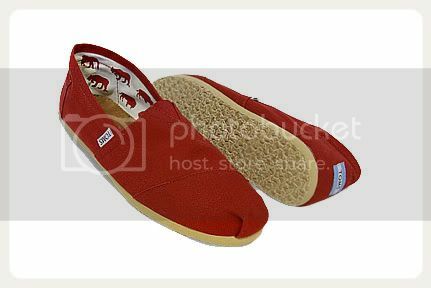 And if you're wondering FYM's favorite TOMS are the red classic canvas, as seen above.